Reach Robotics is developing the world’s first robot gaming system, controlled via a smartphone app, called "Mecha Monsters". Space Robot Robonaut 2 has just received his space legs, which allow him to assist astronauts with chores inside and outside the station, freeing up time for astronauts to do more research and other tasks. Clear Flight Solutions, developed remote-controlled robot birds to scare away other birds, a necessary practice in many industries that could use a more effective way to scare off unwanted birds. JIBO, the newest family robot, is making waves in the robotics world for how quickly it has been able to secure funding on Indiegogo. Phenox has reached its crowdfunding funding goal today with a phenomenal 23.000 USD ! Phenox is an intelligent programmable flying robot from the Tokyo based Phenox Lab. At the Coordinated Robotics Lab. new image processing techniques have been developed for a Fire Fighting Robot that can explore a building which is on fire. These techniques combine the information gathered and present them as a 3-D map. 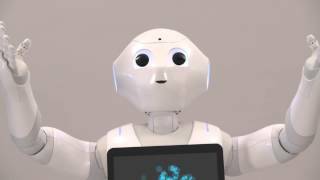 Honda recently unveiled the all-new ASIMO humanoid robot which is equipped with the latest autonomous behavior control technology, allowing it to move without being controlled by an operator. ASIMO, the humanoid robot from Honda, was warmly received at the Johannesburg International Motor Show.